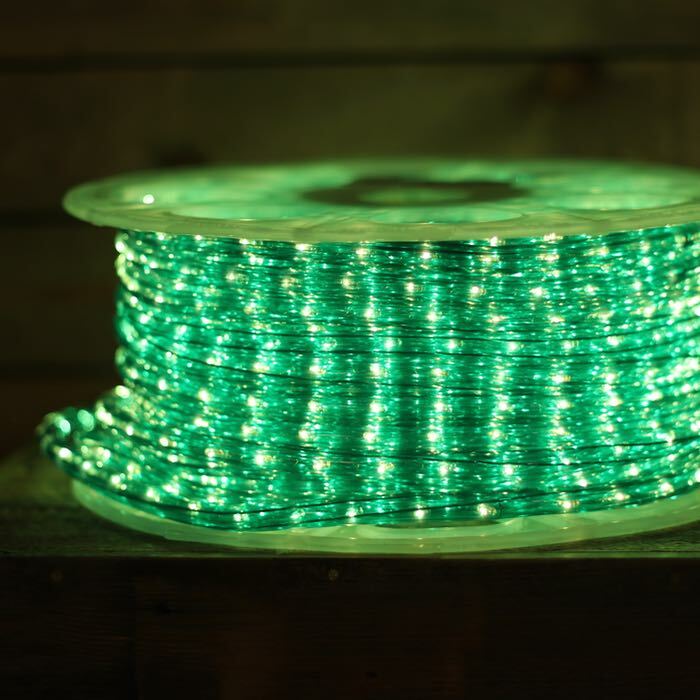 Celebrate Spring and St. Patrick's Day with 3/8 inch diameter green rope light! 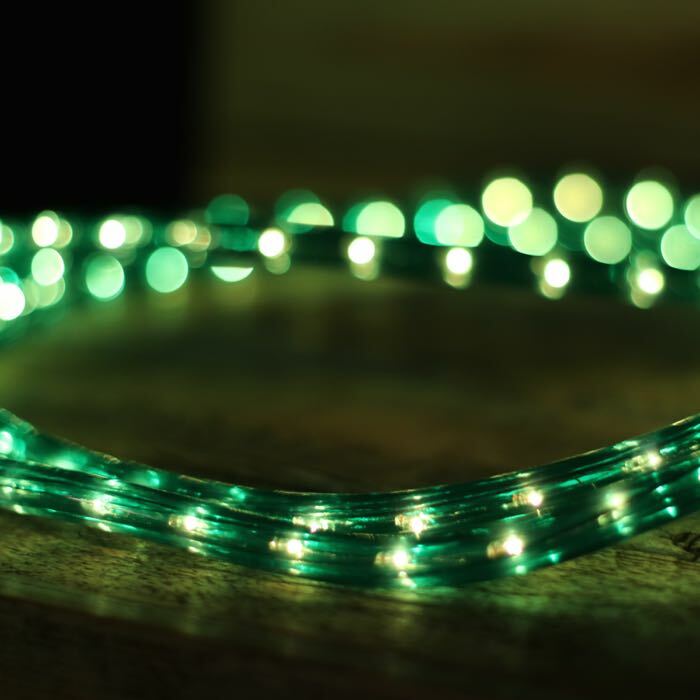 Outlining your boat dock, roofline or party house is quick and easy with rope light. 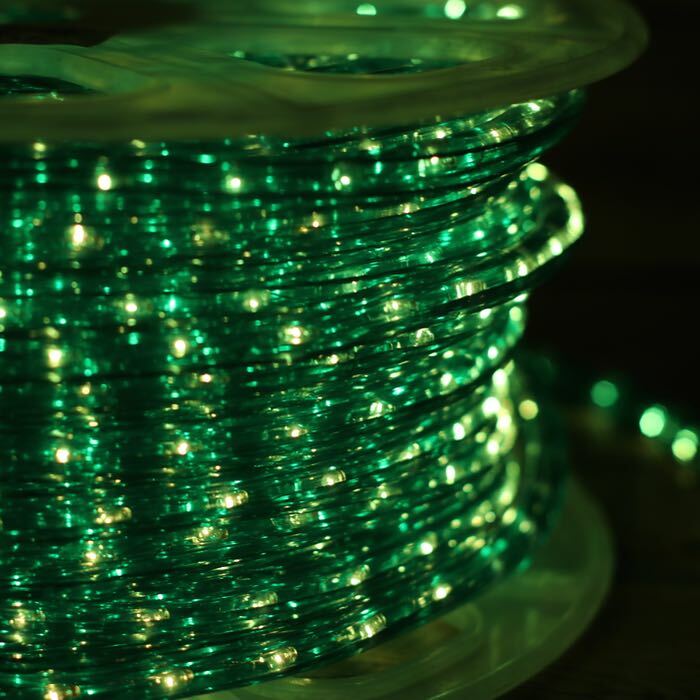 We're sure that you'll realize it's your lucky day when you install your lights. You can cut these every 36 inches between the cut marks - dotted white lines placed along the rope. 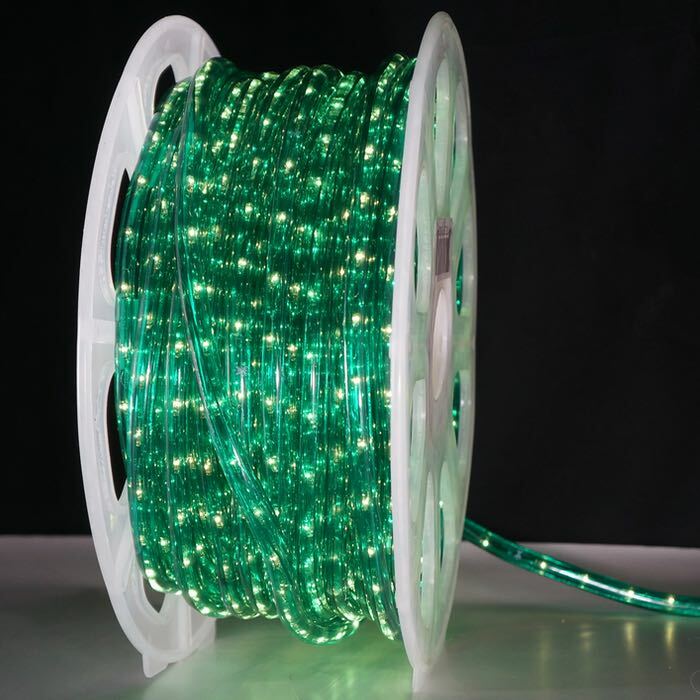 For each length of rope, you'll need to install a power connector, power cord and an end cap on the opposite end. The connections in rope are "floating" so there is a limit to how tightly you can wind them around poles and columns. 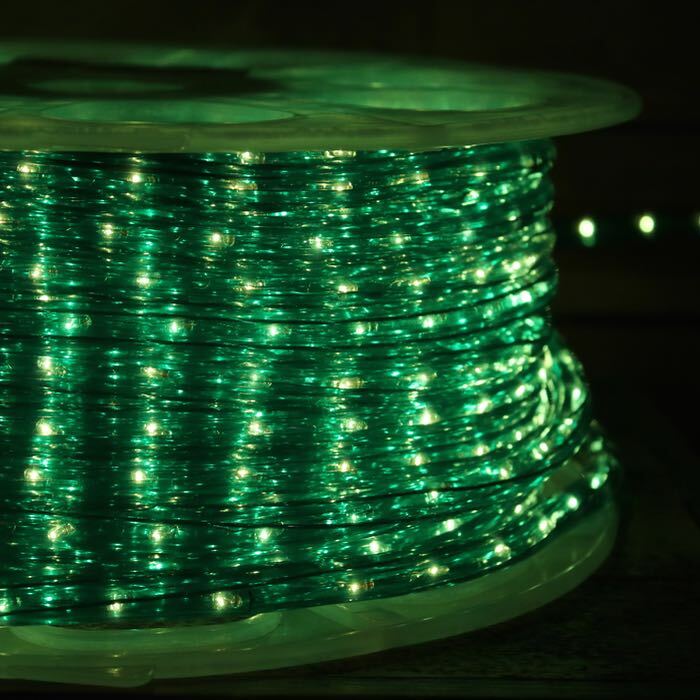 Also note that if a section of rope light should fail, splice connectors are included with each spool to allow you to replace that section. Q: What is the exact color of green? The stock photo looks like a much brighter green than the one I am trying to match, which is dark green. A: These are a "brighter" versus darker green so I don't think they'd be ideal if that's what you are shooting for. 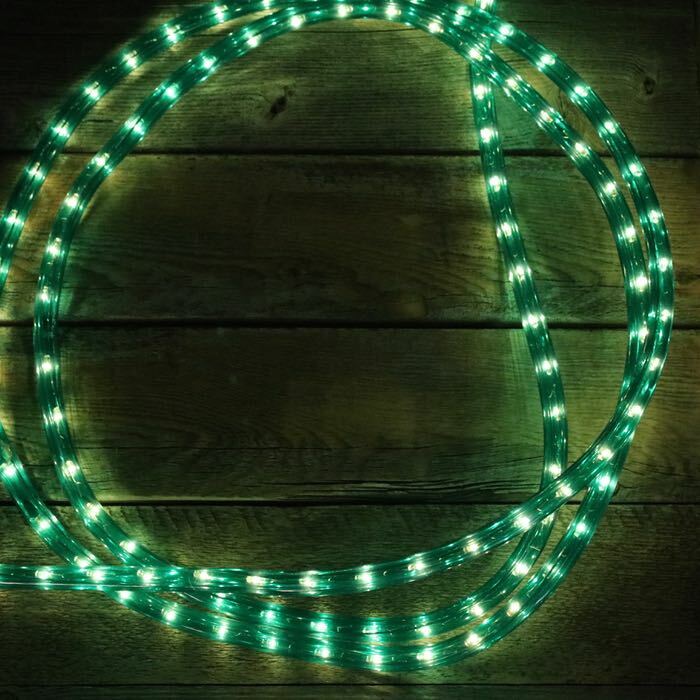 The only alternative that you might consider is a triple dipped green C7 or C9 bulb. They are dipped in 3 coats of paint instead of the normal two so they are a little more muted and richer.